It's about time. 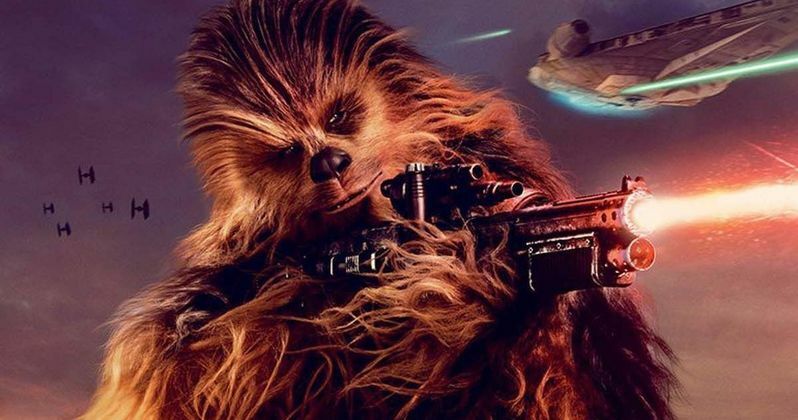 After over 40 years, Chewbacca has finally gotten his own theme music, thanks to Solo composer John Powell. Ron Howard revealed the news today during a Q&A that the director held on social media. Fans have asked Howard a bunch of different questions, but one of the more interesting facts that he revealed was that Solo composer John Powell wrote a theme for the Wookiee for the first time in Star Wars history. When asked about working with John Powell compared to other composers that he's worked with over the years, Ron Howard stated that Powell had come at the recommendation of Star Wars composer John Williams. Right off the bat, you know that's a good fit when John Williams is giving someone the thumbs up to work on a Star Wars movie. Howard also talked about Williams writing the Han Solo theme for Solo: A Star Wars Story. He had this to say. "John Williams himself suggested that John Powell would be a great candidate to not only use the classic Star Wars themes, but also the new theme that John Williams himself wrote for Han Solo. John Powell wrote a lot of great themes, including the first-ever Chewbacca theme." In addition, Ron Howard revealed that Chewbacca and young Han Solo aren't immediately best friends in Solo. The director was asked to describe the "friendship" between Han and Chewie to which he responded by saying that things start off a little rocky at first. The director also maintains that part of the movie is the building of their relationship. Howard explains. "This is the story of their relationship - it's not always a friendship. When they first meet, we're not sure which way this whole thing could go." A Star Wars fan asked Ron Howard about how Solo differs from other movies in the franchise, to which he replied that you can see this movie on its own without having seen any of the previous movies. Howard also revealed that it's about a young Han Solo trying to define himself. The director was also asked to describe the Qi'ra character in 5 words or less. He said. "Strong. Intelligent. Ambitious. Complicated. Beautiful. Ugh, dangerous! That's six. But I don't want to give away anything." Ron Howard is clearly having fun promoting Solo: A Star Wars Story and being involved in the Star Wars universe. One fan asked him who the most difficult member of the cast was to work with while he was sitting next to Chewbacca... needless to say, Howard didn't want to say something while sitting next to the Wookiee in fear of getting his arms ripped off. Solo will premiere this week at the Cannes Film Festival and then will open up to the general public on May 25th. You can check out some of Ron Howard's answers about Solo below, thanks to the Star Wars Twitter account.